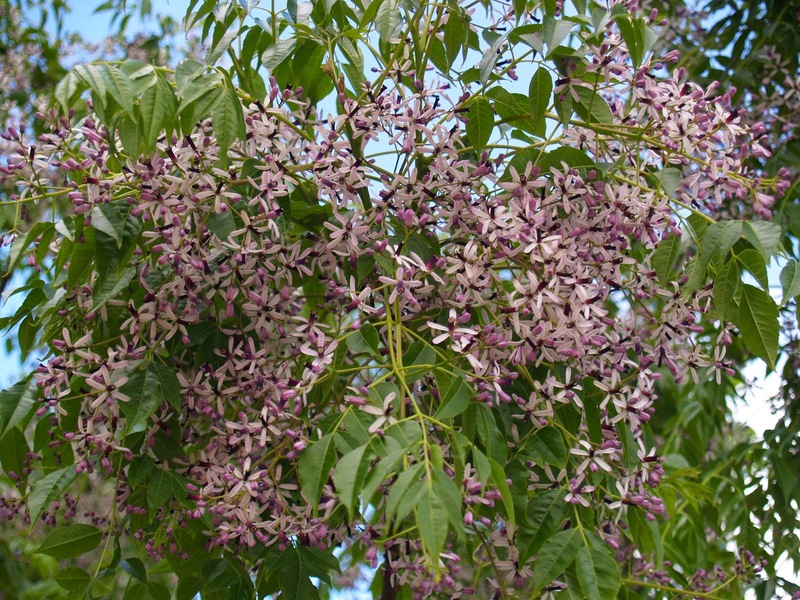 Melia azedarach, Persian Lilac - can be planted to provide shade. It has bunches of small and fragrant, purple or lilac flowers with deeper purple centres. 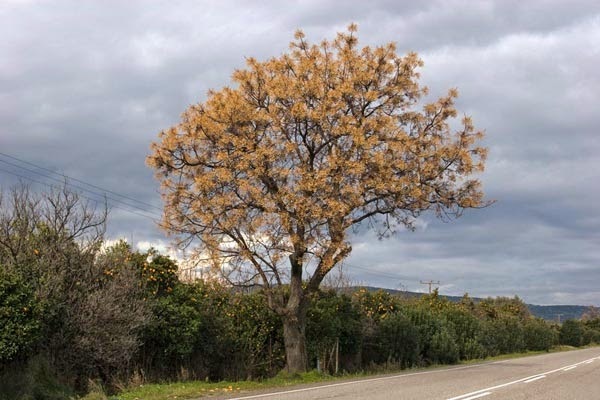 The flowers’ sweet fragrance is particularly noticeable at night and is a deciduous timber tree used for construction. Early flowering forms were domesticated in China and India, it was known to the Arabs as early as 1080 and is now widely naturalised in mediterranean climate zones around the world. In India the flowers are given in thank-offerings. Persian lilac’s leaves gained a reputation for repelling mosquitoes and today the plant is attracting interest as the source of a derivative for insecticides. The dried leaves were also placed between books and clothing as an insect deterrent. They have been used as a fish poison too. 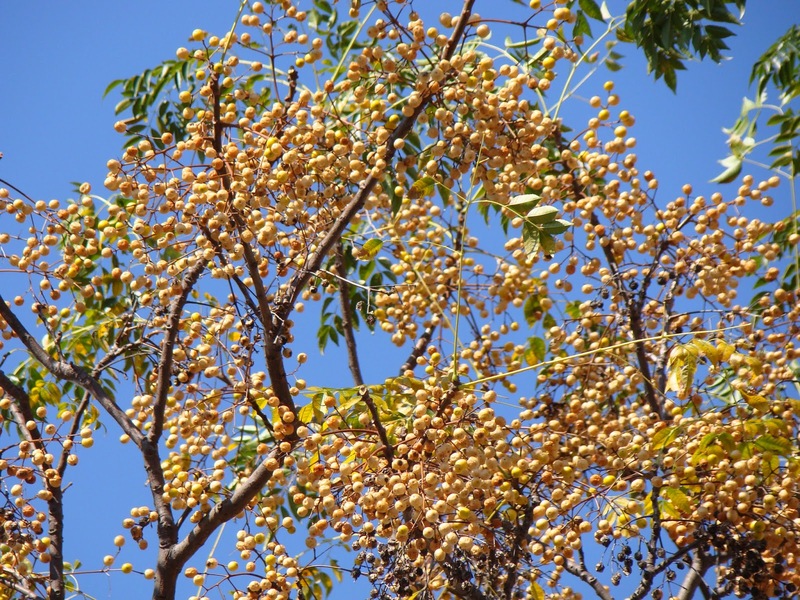 Today the fruit are also a commercial source of insecticide.